A car parked in Selkirk had one of its windows smashed by vandals either yesterday, January 25, or early today. The grey Ford Focus was targeted between 3.30pm yesterday and 7.30am today while parked to the rear of West Port. Its rear window was smashed, and police are now appealing for any witnesses able to help them catch the culprit to come forward. Constable Charlie Doyle said: “This was a needless act of destruction that will either leave the car owner out of pocket or result in a claim on their insurance. 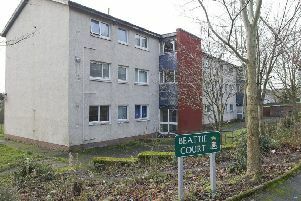 Potential witnesses are asked to contact Selkirk police station via 101, quoting incident number 591 of January 26.